Heritage Ottawa is pleased to co-host a two-part event at the next NCC Urbanism Lab. Following the Urbanism Lab on the next day, the Ideas Forum will be an opportunity for those working in heritage conservation in the National Capital Region to come together and continue the conversation — with each other, with our distinguished speakers and with NCC staff. In addition to Ignite sessions that will bring forth important considerations for adaptive reuse projects, our partners will showcase innovative projects relating to the following themes: values beyond traditional heritage values, adaptive reuse and sustainability, and the economics of adaptive reuse. Space is limited. Please CLICK HERE before Wednesday, February 6, 2019 to register for the Friday event. Please note that separate registrations are required for each event. 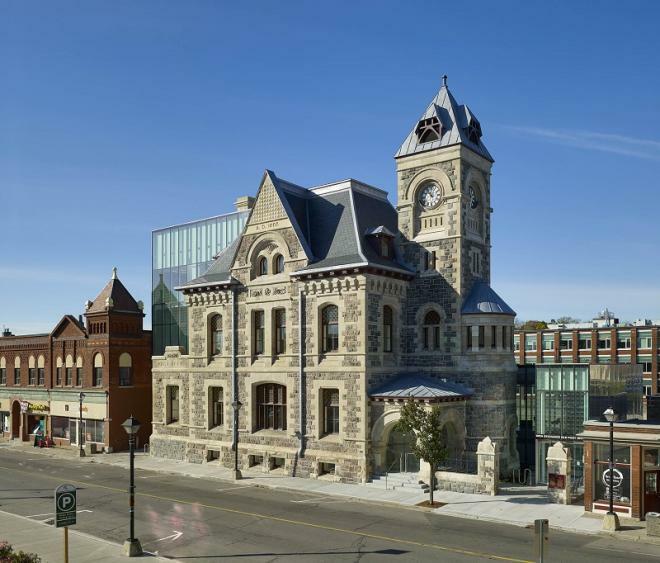 When it comes to the reuse of historic buildings and sites, the success of a project depends on a deep understanding of its history and meaning for people. Three speakers will each share a transformative project that honoured the stories of the past, while setting the stage for the next chapter. Bernard Serge Gagné of ABCP Architecture will discuss the Monastère des Augustines in Québec City. Laura Waldie, senior planner for heritage, City of Cambridge, will speak about the Galt Post Office and Cambridge waterfront. The third speaker will be confirmed. Space is limited. Please CLICK HERE to register for the Thursday event.